You are at Home Eatery Critique Have you heard of Caneles de Bordeaux? I have never heard of Caneles de Bordeaux until Katsy, the owner of RepChampion Canada introduced me to them. Just like how she introduced me to her amazing savoury macarons that have forever changed my life! (for those that have tried it, I am not exaggerating, am I right?) If you haven’t read my blog post about these amazing macarons, check it out here. So what exactly is Caneles de Bordeaux? They are a traditional French pastry that is usually filled with rum, but you can get all different flavours like vanilla and chocolate nowadays. 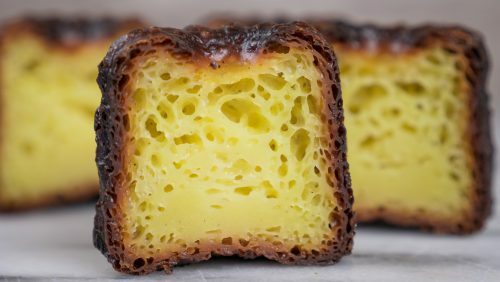 It has to have a caramelized crust with a custard filling inside. They are generally about 5 centimeters tall with ridges on the side and an depression on the top. To get the shape and the texture correct, the French would use a copper mold, if you use a silicon mold, you will get the shape, but not the texture! There are not many places in Toronto and no places in the western greater Toronto area that serve these amazing treats! But now, everything changed! 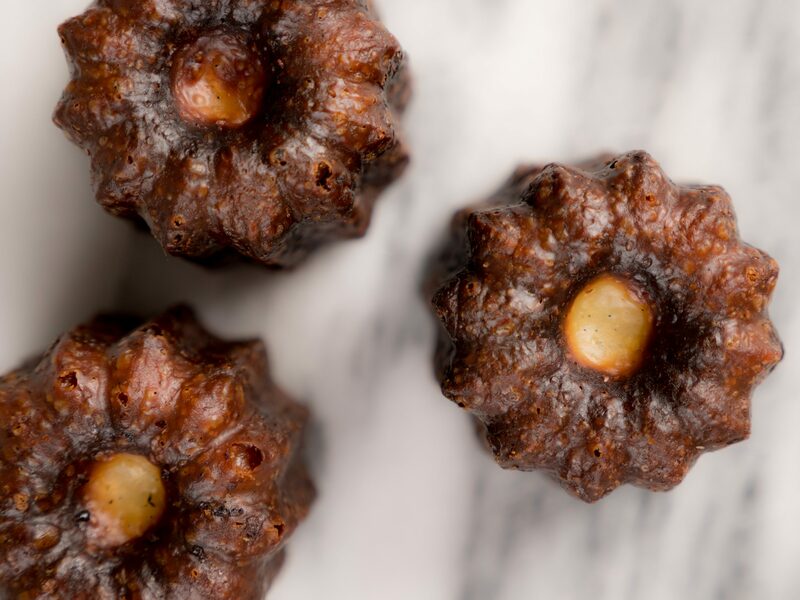 The lovely people (RepChampion) who brought us those damn delicious savoury macarons, have brought us an amazing the Caneles de Bordeaux! These yummy treats are actually made in Toronto by a French Pastry Chef so they are as fresh as they can be! They are currently available with or without rum and will soon expand to a variety of different flavours! These little treats are addictive! It is definitely hard to stop at one, or two, or three…but they are perfect with a cup of coffee or tea as a dessert or a mid day snack! The outer shell is almost crispy since it is caramelized and the inside is soft and airy! If you cut it in half, you can see all the amazing air bubbles inside. The contrast in texture is so nice and you can really taste the caramel! 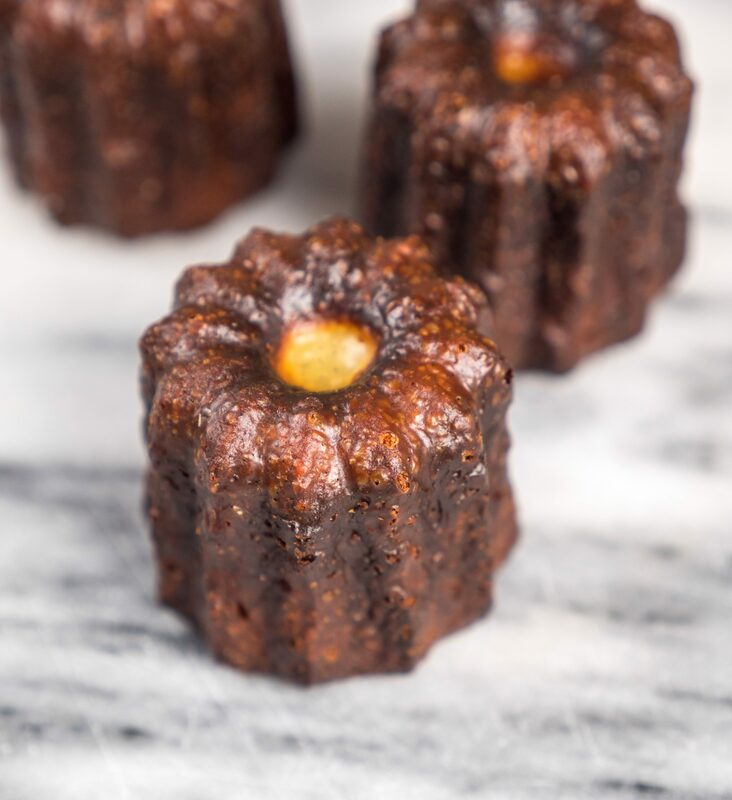 These would make an amazing gift for Valentine’s Day, RepChampion is selling their Caneles de Bordeaux at a special price, 6 for only $18! And if you like their amazing savory or sweet macarons, do check out their gourmet gifts on their website www.repchamp.com. Orders pick-up in Milton, Oakville or West Mississauga. These treats make for a unique Valentine’s Day gift that is perfect for the special person in your life! Have you been to France and tried Caneles de Bordeaux? What is your favourite French dessert? Comment below, I would love to know more! !